Lee came to us for a brand new website as he was starting up a new company. 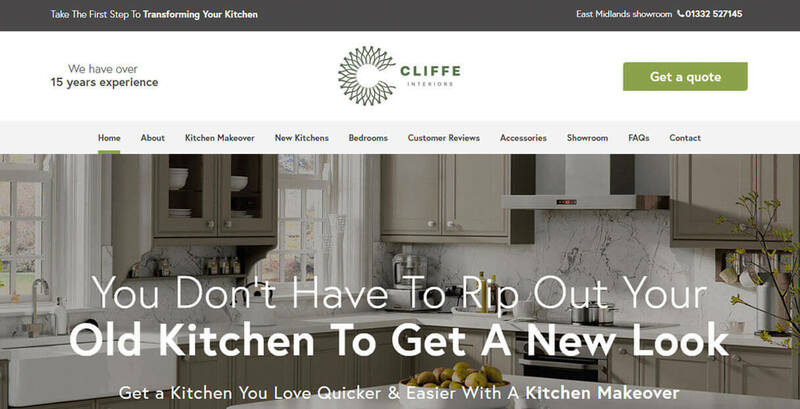 He wanted to put across to viewers that you do not have to rip out your whole kitchen to get a brand new look. He had a lot of products from various ranges and category options that he need to display. 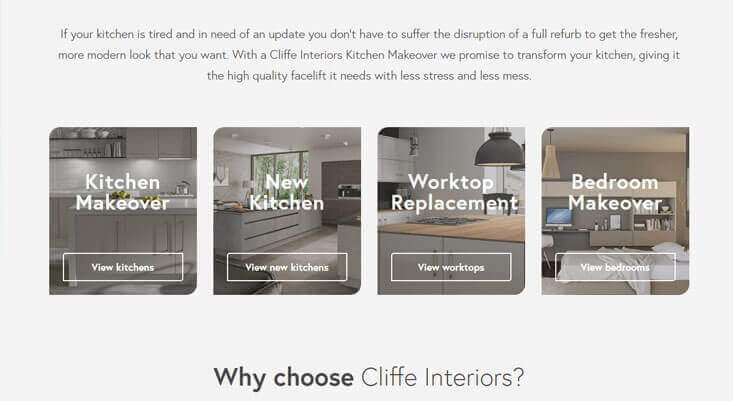 To provide the best functionality for this catalogue website, we built a configurator for the replacement doors on each range. The different door styles were connected to its matching image; allowing further promotion of trust via seeing the product in a real kitchen. The configurator also creates an interactive environment on the website, encouraging the user to stay on the page longer. On the design we dotted about the use of before and after images with testimonials. Underneath these features is a link to view the other case studies. 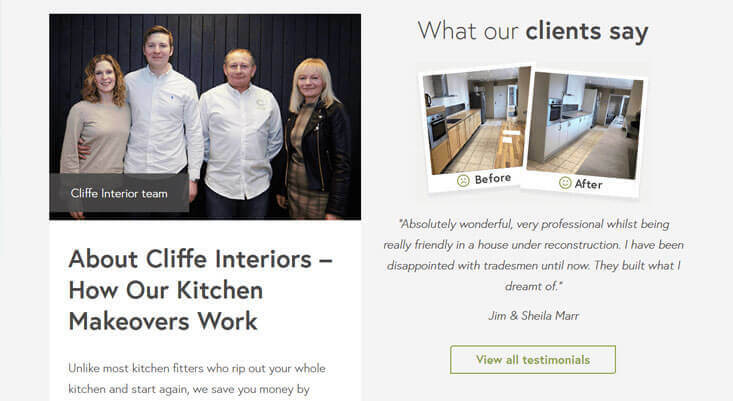 We felt it was important to display before and after case studies on the website – to really showcase how a kitchen of any size or budget can be transformed. A customer looking for a makeover will always want to see how you have benefited someone else in a similar position that they are currently in. We built in a lot of custom post types into this website for user friendly functionality. 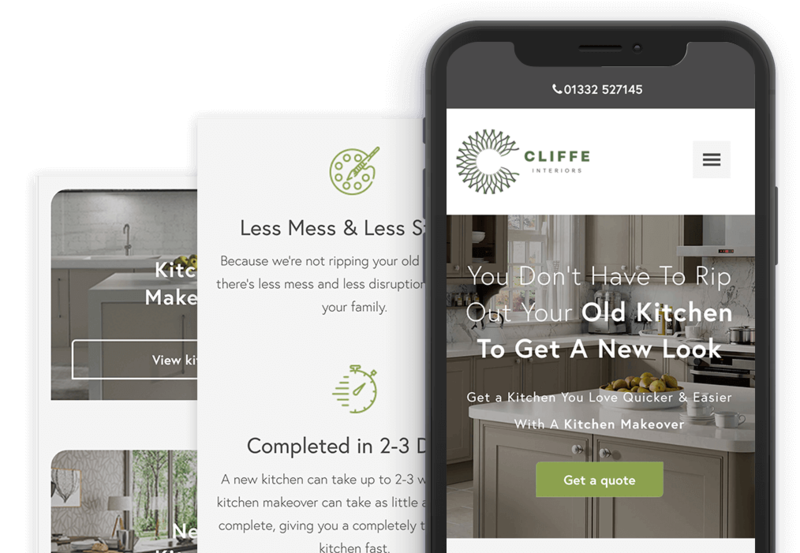 This allows Lee and his team to update the page content, case studies and the individual galleries, keeping the website up to date and relevant to new and returning users.